During a very busy, task oriented day of seeding another 5 basil pots indoors, preparing the outdoor garden beds for hoop row covers to keep falling pine needles and cones out of the beds and starting another 16 dwarf collards, something caught my eye. 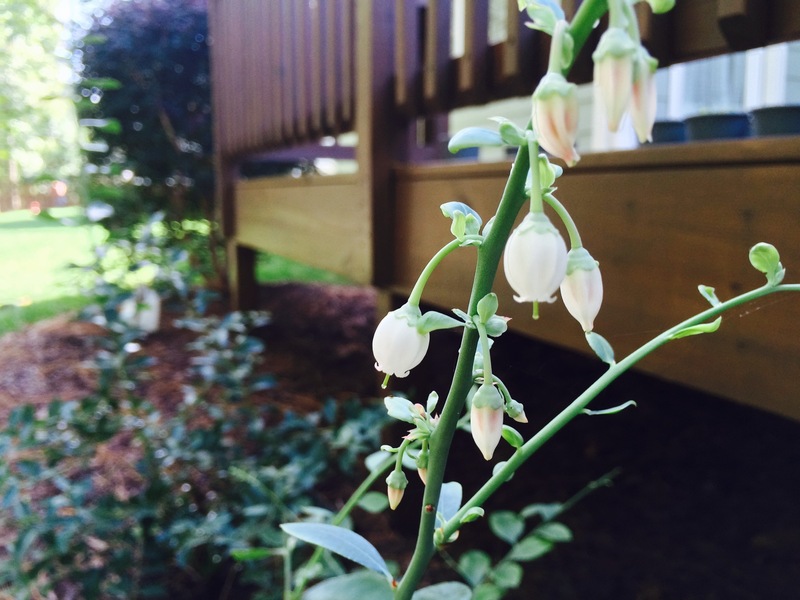 The Premier Blueberries I migrated from containers to their permanent homes in the ground behind my deck back in July when I bought my house are blooming! These are my first blueberry bushes and my first blooms. Although I am concerned that they should be focusing on root growth and stability before the impending winter rather than flaunting their fecundity in the wrong season, I was so absolutely taken with the perfectly beautiful little bell blossoms that I stopped everything to snap a picture and revel in their elegance. This entry was posted in Backyard Gardening, Indoor growing, Sustainable, Urban Farming. Bookmark the permalink.